We are so excited for the new Goosebumps 2 movie! We have watched the trailer and literally laughed out loud to the scary gummy bears. After all, aren’t gummy bears scary the way they attach to momma’s hips? Just kidding! If there is one thing that separates a good movie with a bad one is the story line. With an R.L. Stine inspired story, Sony has some fun family entertainment you won’t want to miss to get you in the Halloween Spirit! 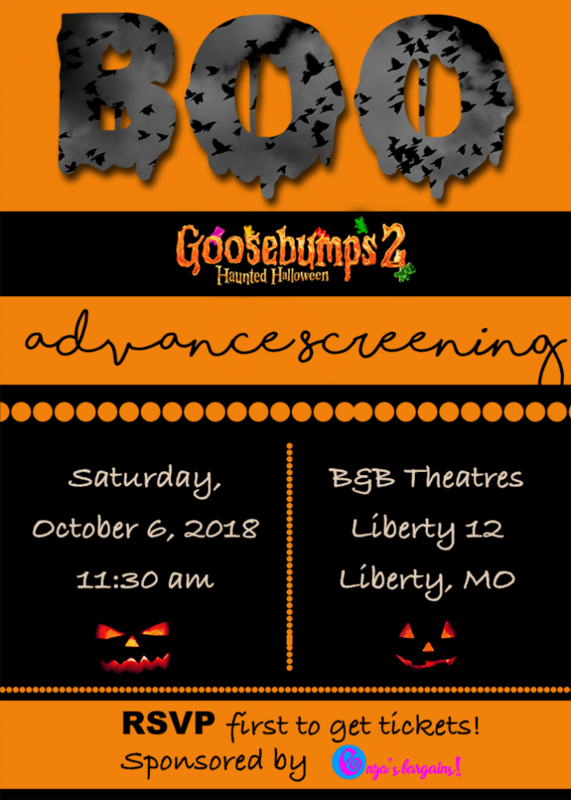 Join us this Saturday 10/6 at B&B Theatres Liberty 12 Cinema at 11:30AM! Just RSVP early to get your tickets! Also, be sure to arrive early because the studio sent us some awesome gifts to share with all of you who arrive early! We have T-shirts, Halloween treat bags, school pencil pouches and bags. My son is super excited. He loves the Goosebumps books.